Silver Rock Golf Resort. Golf Silver Rock La Quinta. Silver Rock golf course details and information about Silver Rock Resort in La Quinta, California. 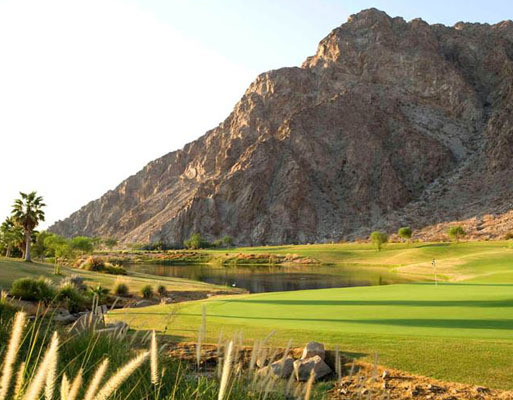 Over 200 acres of land, the Silver Rock Resort California is owned by the City of La Quinta. It is an Arnold Palmer Classic Course with massive bunkers and stunning water features. It’s also set against the natural beauty of the Santa Rosa Mountains. Silver Rock golf has beautiful views and 7578 yards of challenging play. The award winning Silver Rock golf course was also home to the Bob Hope Classic 2008-2011. The Silver Rock has daily play, tournaments, and PGA golf instruction. In addition, it has the SilverRock Grill, for dining after an enjoyable day on the course.